Transform your home inside and out with a professional window cleaning. 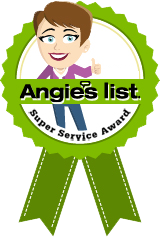 We take pride in providing the highest quality service for our customers and have been awarded with the Angie’s List Super Service Award for over 10 consecutive years. Give us a call and receive an instant quote over the phone. We’ll ask you a few questions about your home and windows and provide an accurate, free estimate in minutes. We strive to give you the best window cleaning experience possible. We guarantee your complete satisfaction with our window cleaning services. We’re not content until you’re happy. Crystal clear windows in a snap. Call 317-319-4765 to speak with us about your home and get a free quote instantly over the phone. Reserve a day that fits both of our calendars. We’ll do our best to accommodate short notice bookings for special events, but the best remedy is scheduling well in advance. On the scheduled day, we will give you a quick courtsey call and will arrive to give your home a whole new sparkle. With satisfaction 100% guaranteed you can rest easy knowing your home is in good hands. Give your home a new shine. I had no idea how dirty our windows were until Erick cleaned them inside and out. It brings a new crisp aspect to our home and it feels like the trees are in the house with us. Gorgeous! My windows have never looked better – the screens and tracks are clean as well. I had forgotten how spotless windows really enhance the look of my home. We've used Erick the past three years for exterior window cleaning. He is always pleasant, prompt and does a great job! We'll continue to use him in the future. Erick was terrific! He was flexible with his schedule, gave us some good tips about window care, and the windows looked so perfect, it was almost like living in a brand new house!